This Saturday is National Trails Day, the perfect opportunity to get out and enjoy a hike with your kids—and to help maintain your favorite trails alongside other local volunteers. AMC chapters have many activities planned, including family hikes and work projects. On the Mount Willard Trail in New Hampshire, a favorite for many families who have stayed at AMC’s nearby Highland Center Lodge, a group will welcome all ages for a spring cleanup, including clearing vegetation, repairing water bars, and improving off-trail drainage. The American Hiking Society, which sponsors National Trails Day, is holding a coloring contest (look under "American Hiking News"; deadline is July 31). If your kids are involved with the Boy Scouts, you may also find ways to get involved through them—including a chance to get a special patch commemorating the 20th anniversary of this national event. If you want to continue the tradition of giving back to the trails beyond this weekend, consider signing up for a Volunteer Vacation or Teen Trail Crew, joining a local chapter trail committee, or adopting a trail yourself. 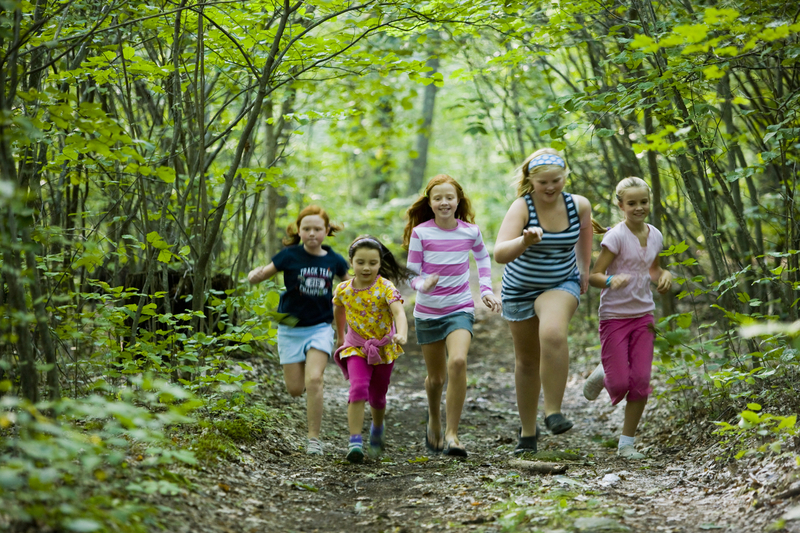 You will be showing your kids how important it is to help maintain the trails that get us out and active in the natural world all year round. Photo by Jerry and Marcy Monkman.